Would You Consider the Porsche Boxster 986 Or The Porsche 911 996 As Classics? Porsche does! Unlike the multitude of definitions available on the web about what makes a car a "classic" one, Porsche has a very specific definition. Generally, Porsche Classic looks after those vehicles whose production was discontinued at least 10 years previously. Both the Porsche Boxster Type 986 and the Porsche 911 Type 996 qualify and were added to the range last month. If you own one of these models, you can now officially call it a "classic". At least in the eyes of Porsche. More importantly, it ensures that parts for the 986 Boxster and the 996 911 will be available for years to come. 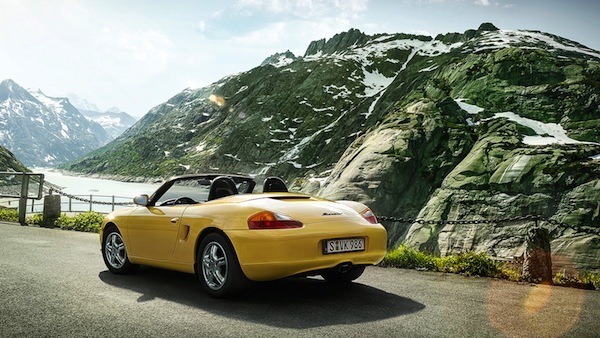 The 986 Boxster covers model years 1997-2004 for a total production of 164,874 Porsches. The 911 996 covers model years 1998-2005 for a total production of 172,262 Porsches. Porsche Classic will offer 8,400 part number and 13,500 part numbers for each model, respectively. What is a Porsche Certificate of Authenticity and Why is it Important to Have? Well, I think the 986 deserves the classic designation. It was the first in a new model series for Porsche that has continued to be refined and which has spawned the Cayman coupe as well. The 996, not so much. I owned an ’01 cab, and while it was a fine car, I would consider it only a stepping stone between the 993 and even better versions of the 911 line. They retained the “mechanical” feel of driving from the 993, without the cachet of the air cooled engine, and lacked the modern electronics of the 997 and 991. My overall impression is that the 996’s have not sustained their value in the market, and other than offering a bargain entry or upgrade opportunity. They are not sought after by knowledgeable Porsche owners, who will go to the 993 for the air cooled, mechanical features, or to the 997 / 991 for the modern electronics. II am not alone in having respect for Porsche Classic’s definition of what is significant to those at the source of the creations. I’m happy to see that Porsche have recognized a design they created that is both unique among sports cars and has recognizable DNA all the way back to the Porsche One. Although the designation “classic” may not elevate the 986’s monetary status it certainly gives it it’s just rewards to those of us who own them and have had to weather all the negative press the car received when the IMS issue reared its ugly head and it was deemed underpowered for a Porsche. I’ve always been a proud owner of my first Porsche the 986 I call Mena, meaning strong and long lasting in German. Long may she run, my classic ’99 Boxster, now a classic. My first Porsche was purchased in 1999 and the 996 was the superior car for that time.I drove the car till 2012 and purchased a 2012 997.Both cars are wonderful to drive and very fast.The point I want to make is the 1999 996 never needs to be considered in any way second rate in performance or a quality Porsche.The 996 meets the traditional definition of Classic in that it maintains a historical excellence. While I had several Porsche 911 the only one I kept from the day I got it brand new from the Porsche factory till today is my 996 Carrera 2 coupe. It is the facelift model and in 12 years I had not even one problem. It drives and feels perfect to me. Last year I was thinking about a change to a 991 GTS but the car does not give me the same feel. Don`t get me wrong: I love the old aircooled G models and 964 especially and maybe a will sign for a 991, but I will keep the 996 ! Happy curves with your Porsches !